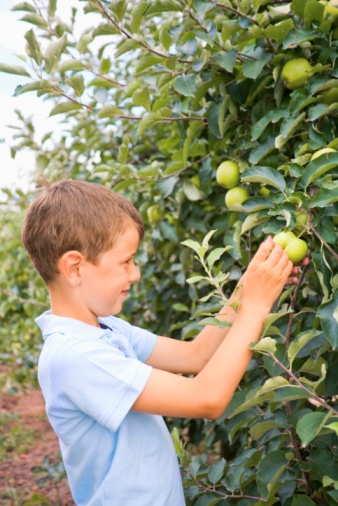 The mulberry tree is a storied tree with a fascinating history. Chinese legend has it that the wife of an ancient emperor was the inventor of silk, and the silk cultivating process dates back between six and seven thousand years in China. 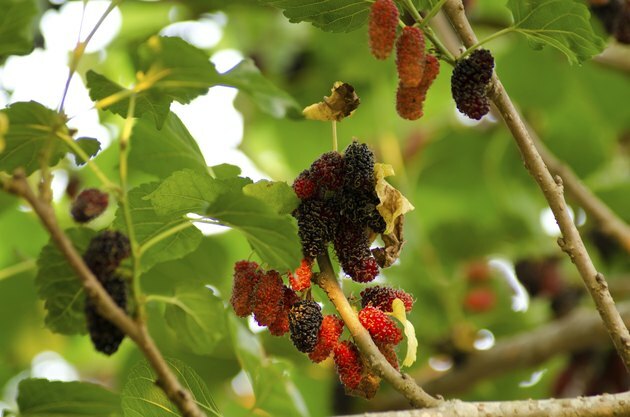 Silkworms consume mulberry leaves, so as a result the mulberry tree became critical to Chinese economy and later to the production of silk around the world. 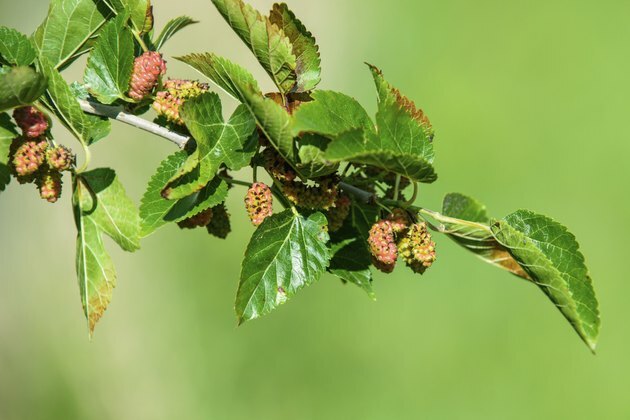 You might encounter four types of mulberry trees: paper, red, white, and black mulberries. Each of these trees' leaves has telltale signs to help you identify it. 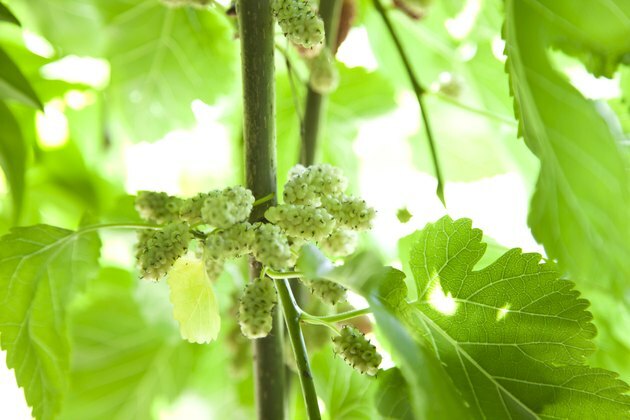 The mulberry tree has a fascinating history. Check for lobes and leaflets. Check for lobes and leaflets. Mulberry leaves are single, lobed leaves--they do not have secondary leaflets attached to the same stem ( called "compound" leaves), and they they have projections jutting out like a maple leaf instead of a smooth edge all the way around. If the leaf is lobed and not compound, it may be a mulberry. Make sure the leaves are asymmetric. Make sure that the leaf in question is asymmetric. Mulberry leaves are rare in that they have lobes that are unbalanced, distributed unevenly around the leaf. Take a look at the leaf base, and feel the surface of the leaf. If the leaf is short and the base is heart-shaped, it is probably a black mulberry leaf. 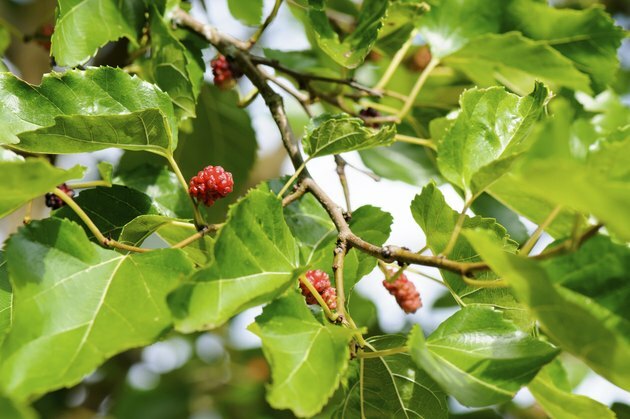 If the leaves have rounded teeth on the edges, it is either white or red mulberry; white mulberry leaves are glossy while red ones are less so. If the leaf is densely hairy, it comes from a paper mulberry tree. What Kind of Tree Grows Spikes?